Every man (male or female) was born with natural rights and the power to sovereignly choose to be a king. Sadly, the so-called leaders of mankind lack motivation to support an education system that teaches people how to exercise their natural rights and think, act and be sovereign. One of the reasons that they do not like to support that kind of education system is because when people know how to exercise their natural rights and be sovereign, they rely less on their leaders to act and make decisions for them. In other words, when people become really responsible and knowledgeable they do not need leaders to represent them, which in turn cause their leaders to lose the power to rule over them. Did You Know You Have the Power to Sovereignly Choose to Be a King? To innerstand why you have the power to sovereignly choose to be a king, you need to investigate two very important words and study their definitions. Throughout your life, you have heard people say these two words many times but most likely did not realize how important they are for helping you achieve freedom and sovereignty. The two words are sovereign and dominion. 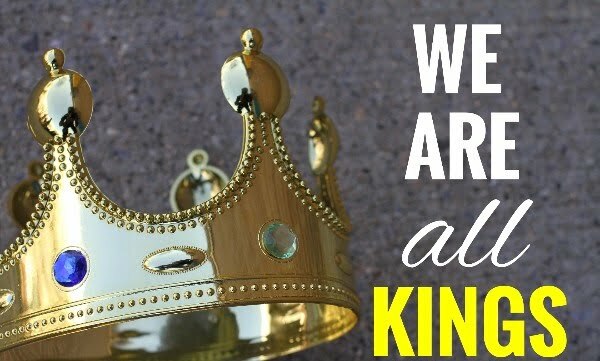 By studying these two words and other words related to them, you will eventually know why you are not only a king but The King of your kingdom of God. An important fact you need to know about the word sovereign is that it is strongly related to the word sovereignty, a word that comes from the Anglo-French word sovereynete, meaning “authority, rule, supremacy of power or rank”. “The supreme, absolute, and uncontrollable power by which any independent state is governed; supreme political authority; paramount control of the constitution and frame of government and its administration; the self-sufficient source of political power, from which all specific political powers are derived; the international independence of a state, combined with the right and power of regulating its internal affairs without foreign dictation; also a political society, or state, which is sovereign and independent. To have a deeper innerstanding of what sovereignty is, you need to know the esoteric meaning of freedom and liberty. 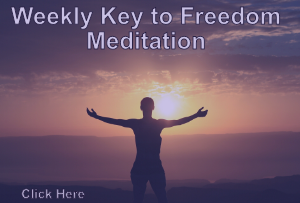 You can find the esoteric meaning of freedom and liberty in my empowering article titled Sovereign, Sovereignty and Natural Law: How You Lost Your Kingdom of God. Once you know the deeper meaning of the words sovereign, sovereignty, freedom and liberty, you will be more equipped to be a sovereign and reign over your kingdom of God. 1. An individual of the human race; a human being; a person. 2. Especially, an adult male person; a grown-up male, as distinguished from a woman or a boy. 3. The human race; mankind; the totality of men; sometimes, the male part of the race, as distinguished from the female. A very important book you need to use when investigating the word man is the Bible. One of the verses of the Bible that talks about man is Genesis 1:26. Based on the definitions and information so far in this article, as the living man (male and female), you are the King of your kingdom of God, the realm containing your mind, spirit and spiritual body. You are also the King of your kingdom of Earth, the realm containing your physical body, house, land and property. Because you are the King of your kingdoms, the government has no lawful right to tell you what to do, as long as you do not harm other people and damage their property. Even though the living man (male and female) is the King of his kingdom of God and Earth, most people have unknowingly surrendered their kingdom of God and Earth to the Church (“mother”) and State (“father”) through man-made contracts. One of the most popular contracts for deceiving people to give up their kingdom of God and Earth to the Church and State is the voter registration contract. The hidden agenda of this contract is to trick people to surrender their sovereignty, crowns, and kingdoms to the Church and State in exchange for government benefits. Below is an excerpt from The Errant Sovereign’s Handbook written by Augustus Blackstone that explains in more detail as to why registering to vote causes you to lose your sovereignty. The government, through Congress, represents the will of the majority. Who are the majority? Voters, right? Voters are qualified electors. That implies rather plainly that there are electors who are not qualified. So what is this “qualified” business about? We know that to register to vote there are age, citizenship and residency restrictions. Is there anything else to be considered? Perhaps we should examine the word “qualify.” As a verb, its root meaning is to limit, to reduce from a general to a specific form. The word “limit”, as a verb, essentially means to restrict. “Reduce” means to lessen, to diminish the quantity or quality of something. Since the object of the limitation or reduction is the elector, we must then ask, what is being diminished or restricted? What is the elector losing or giving up to obtain a qualified status? What does an elector still have that a qualified elector no longer has? To ascertain we will have to determine what an elector is, what an elector does or is capable of doing, and what an elector has or may have as a matter of course. To connect the dots, the moment you register to vote by signing a voter registration contract of the State, you agree to act in the capacity of a qualified elector. This agreement causes you to surrender your sovereignty to the Church and State, allowing them to act as your legal guardians. As your legal guardians, the Church and State have the legal right to guard you similar to how prisoners are guarded by jailers or prison guards. Did you notice that the word guardian has the word guard in it? When people become registered voters, they often believe that they have the “right” to vote. What they do not realize is that the right to vote as a qualified elector (registered voter) of the State is a privilege and not as powerful as the right to sovereignly choose. It is not as powerful because as a qualified elector you are subject to the power of the majority (the people) and its government. This is especially true in a country that operates under statutory and commercial laws. For example, in a democracy, it is not wise to be a qualified elector/ registered voter, especially when the government and people are irresponsible, because your individual rights are subject to the power of the majority. Remember, the moment you sign the voter registration contract, you agree to act in the capacity of a qualified elector. In other words, you consent, whether you realize it or not, to surrender some of your sovereign power to choose and thereby are no longer the King of your kingdom of God and Earth. If the Church and State were truly honorable, delegating some of your natural rights (e.g., the power to choose) to them would not be harmful to you. However, your natural rights were given to you by God and thereby you should never agree to surrender them to any church and state. The good news is that you can always claim back your natural rights as long as you know how to be the living man and exercise your sovereignty. The Vatican is one of the most infamous tricksters of this age. What most people do not know about the Vatican is that it is one of the States of the Holy Roman Empire. This is why the Pope (head of the Vatican) is also known as the Bishop of Rome. Another information that most people do not know about the Vatican is that it is very skilled at using the art of word magic and magic spells to trick people to agree to be the debtors of its corporate debt. Phonetically, the word debtor sounds similar to the word deader, meaning “no longer living; deprived of life”. Keep in mind that all debts are for the dead or the debtor/ “deader”. The living man owes no debt to the dead because he is the creator and creditor of money/ currency. Esoterically, the word creditor means “the producer of currency/ money (time and energy)”. The dead can not produce currency/ money/ time/ energy. As a result of that, it is impossible for the dead (e.g., the Vatican, bank and government) to be the creditor. To trick you to agree to be a debtor/ “deader” (“slave”) of its corporate debt, the Vatican must convince you (the living man) to surrender your crown to it. Remember, God gave man (male and female) dominion over all the Earth and therefore to force man to surrender their crowns is a violation of Natural Law (God’s Law). However, tricking man to agree to give up their crowns in exchange for certain government benefits is, in a sense, not a direct violation of Natural Law. Over a millennium ago, certain leaders of the Holy Roman Empire knew that no people in their right minds would agree to be debtors of the debt of the Holy Roman Empire, so they conspired a plan to trick people to give up their crowns to the churches and states of the Holy Roman Empire. Today, one of the entities behind this conspiracy is the Vatican which is why it controls most of the crowns on Earth, including but not limited to the Crown of England. In many religious teachings, the crown is a symbol that represents royalty and sovereignty. Why do you think kings and queens like to wear a crown on top of their heads? From the perspective of the energy body, the crown is the crown chakra, also known as the seventh chakra or sahasrara. They did not call it the crown chakra for no reason. According to energy healers, the crown chakra is located at the top of the head. Esoterically, this is your “crown of thorns” which can be translated as “circles of light with rays”. The symbolic color of the crown chakra is violet/ purple which is the color that represents royalty. In consciousness, it represents transcendence and universal consciousness. Once you innerstand what the crown symbolizes, you should know that to give up your power to sovereignly choose (the power of free will) is to give up your crown and sovereignty. Certain leaders of the Vatican are well aware of this which is why they have worked so hard to trick you to surrender your crown. One of their favorite techniques to deceive you to surrender your crown is the art of word magic. Another one is the language based on Dog-Latin. “What is DOG-LATIN? Blacks Law Dictionary claims that it is a debased form of Latin Text appearing under the Grammatical Rules of English. Its unreadable, so what does it look like: “IT SIMPLY LOOKS LIKE THIS”, and where do you find it? It exists only with the consent of the Ignorant, it is the language of the Illiterate. Just to give an example of how dangerous this deception is, I will give you a translation from “DOG-LATIN” to “English” and then from “English” into correct “LATIN”. “A car drove by”. The translation into ASL (American Sign Language) appears as: “VEHICLE-DRIVE-BY”… Did you notice the “hyphen”?… One rest in Written LATIN and American Sign Language, constitutes a break between the two signs, (Words) where as in relation to the English grammatical rules dealing with English Text, one rest constitutes joinder between the two words. This means that when LATIN or American Sign Language is used without the “hyphen” it renders nothing in fact, leaving only an ignorant presumption that such ALL UPPERCASE TEXT is valid. This is just word science. If you operate English text or Latin text in breach of its relating Manuals, you void warranty! just like operating an automobile in breach of its manuals. You void warranty. As you can see, the second sample translated into nothing readable, its babble, that’s why the second sample is called: “DOG-LATIN” or “Dog Latin” being the language of the illiterate. It is debased. It is a “declension” or a “debase” meaning, it is wrong, immoral, counterfeit and void. It is also the language of the DEAD LEDGER, being depicted as the Egyptian God of the dead underworld: Anubis, depicted as a man with the head of a dog in Egyptian hieroglyph symbolism. (DOG-LATIN), The Eye of Horus (God of War and the dead) also depicted on the US One Dollar Note, but is that even grammatically correct appearing in DOG-LATIN? Is this a revival of Egyptian Slavery? Dog-Latin is often used by the legal system to transform your name written in upper and lowercase letters (e.g. John Doe) to all uppercase letters (e.g., JOHN DOE). What you need to know about the name written in all capital letters is that it is used by the legal system to identify a dead and fictional character with no natural rights, also known as an artificial person which is a corporation. One of the reasons for doing this is that the living man can not really operate in commerce. Only a dead and fictional character, such as the government, can operate in commerce. This means that the government can not do business with the living. To solve this problem, the government has to trick the living man to agree to act in the capacity of a dead and fictional character so it can do commerce with the living. One of the most important dead characters for helping the government and legal system to do business with the living is a government agent. Keep in mind that the man behind the uniform of a government agent is not dead but the character (agent) that he agrees to act for is dead. The character/ agent is dead for the reason that it is not living and breathing; it only exists in the imagination of man. Because of this, when the man wears a government agent uniform and goes to work, he agrees to act in the capacity of a dead character. The main hidden role of a government agent is to trick you (the living man) to agree to be a name. For example, when a government agent writes your name in all capital letters on a letter and sends it to you, whether he realizes it or not, he secretly uses Dog-Latin and the art of word magic to trick you to agree to be a dead and fictional character with no natural rights. The trick is achieved when you open the letter and acknowledge it. Be aware that the legal system of the world mostly operates under Roman law and thereby is under the jurisdiction of the Vatican, one of the States of the Holy Roman Empire. When you agree to be the name in all capital letters, in law, you agree to be a slave without natural rights and sovereignty. In other words, you unknowingly agree to surrender your crown to the Vatican. One of the ways to stop the Vatican from deceiving you to surrender your crown is to not agree to attach your body (made of flesh and blood) to any names, titles and statuses. Only your name (not made of flesh and blood) should be identified with titles and statuses. The moment you (the living man made of flesh and blood) agree to be a fictitious entity that is part of a body politic, in law, you agree to give up your crown and kingdom to the government and majority rule in exchange for government benefits. Giving up your crown is one of the greatest sins against God. Why is that you may ask? Because to give up your crown is to give up your kingdom of God, the “palace” within the temples of your head. A temple is a place for worshiping God. They did not call that area of your head the temples for no reason. Duh!…You are just NOW Seeing what’s been around for 1000’s of years??? The video series called “The LIE the Vatican told” covers this material masterfully! Describes in GREAT detail of HOW the Vatican ROBS the entire planet! Shows HOW “Native (REAL) American’s were deceived into FALSE beliefs about themselves.